Which Mission Are You Talking About? 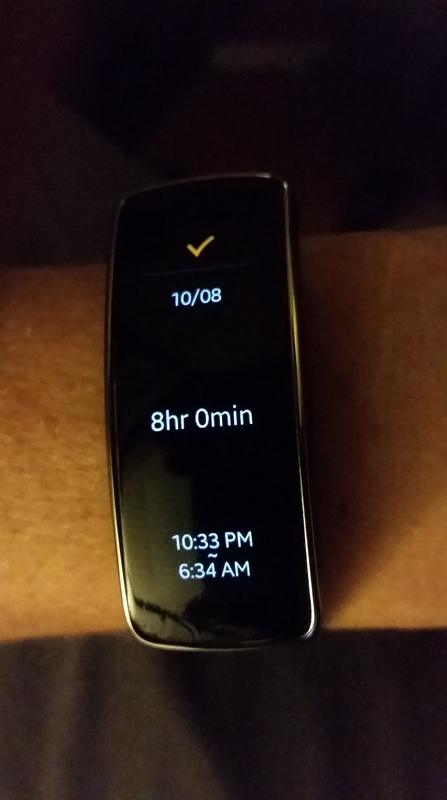 I found out about the Write 31 Days challenge late on the evening of October 4th. By the time I talked myself out of not doing it, it was already after 10:00 on the night of October 5th, five days into the challenge, and five days late. Sometimes you just have to say “so what” and just do the thing you want to do, even if it breaks or bends the rules. I was able to post my first blog for the challenge with only minutes left to get in with the other 1200 bloggers taking part. Whew…it was a close one. As a result of my limited time, I only touched on my purpose in this challenge at a very high level. Then yesterday for my second post, I didn’t get started writing until late again. To break what appears to be a pattern, I’m going to take the time today to write about what I’m going to write about. How’s that for filling space with words? any important task or duty that is assigned, allotted, or self-imposed. During the next month, I will write about our upcoming mission trip to Juan Dolio, Dominican Republic with our church. We are partnering with SCORE International and will work in many different areas while we are there. I’m very excited about not only sharing how we are fundraising and preparing for this trip, but also my personal hopes and dreams for our work there. I will also share about the personal path my husband and I have taken with regards to our health and wellness. We’ve been more conscious about the food we put into our bodies for the past 10 months and I would love to share some of the lessons we’ve learned and rewards we’ve reaped on this journey. For several years now I’ve struggled with figuring out what my spiritual gift is. I plan to continue exploring this until I find that one thing God has placed on my life so that I may better serve Him. I may never fully realize this, but it won’t stop me from continually trying to better myself for His glory. This next month will be a chance for me to dig into that a little deeper and share what I’m learning through my blog. The final mission I plan to share with you are those little things that nag at me, my never ending want-to-do list. These include learning spanish, photoshop, and learning how to code for WordPress. I have a pretty long list and will write about some of them. I’ll let you know my progress, setbacks, and successes during the month. So far, my mission to write every day for the past 3 days has been successful. I’ll take that win! When I told my husband about my topic of On a Mission and what I planned to write about, he asked “Aren’t you just listing goals you want to accomplish?” I thought about that for a minute and conceded that he was absolutely correct in his assessment of my plan. However, I believe simply listing a group of goals is a passive thing. By saying “I’m on a mission to…”, I feel that I’m being more active with my intentions. 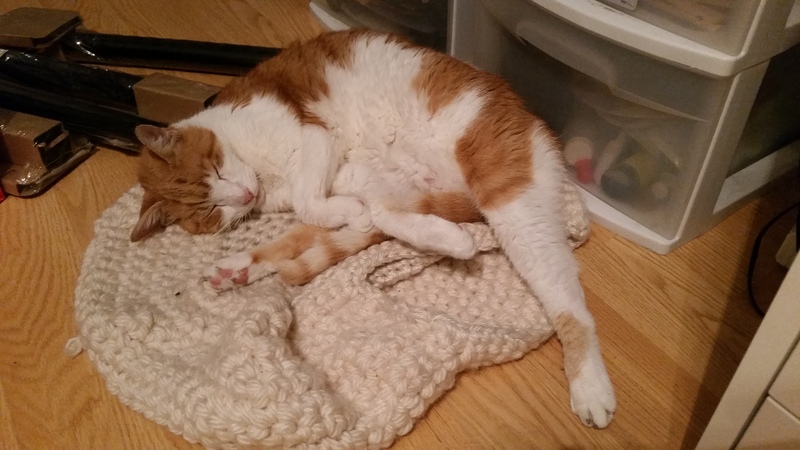 I’m not expressing a desire to do something. Instead I’m telling you I’m doing it. If I say “I have a goal to drink 100 ounces of water tomorrow”, it feels different than “I’m on a mission to drink 100 ounces of water”. In my mind, the “I’m on a mission” phrase evokes more passion and desire, which fuels me to ‘git er done’. So, there it is. These are the stories I’m on a mission to share with you. I hope you will come back and see what I have to say as I blog my 31 Days On A Mission. This post is going to be short, but I really wanted to share this new challenge I’m going to take part in. It’s called Write 31 Days and it’s very different from the previous 30 Day blog challenge I did. Instead of having 30 prompts over 30 days, this one challenges you to choose a single topic and write about that topic for 31 days. The goal is that the bloggers will dive deeper into their chosen topic. The challenge was first started by blogger Myquillyn Smith at The Nester, back in 2009 . I learned about it on Claire Wiggins’ blog, WordyLadyWorld. I highly recommend you check out Claire’s blog if you are a word geek. She writing about…well….words. Go see what she has to say. I didn’t have to think very hard about what my topic would be. It’s actually a topic word that has multiple meanings and its a subject that’s been in my heart and on my mind a lot lately. 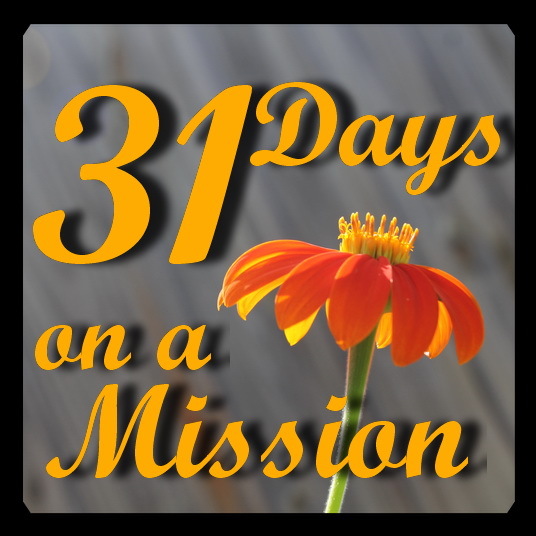 My goal for the next 31 days is to share various missions I’m on or hoping to be on, whether it be my new exercise plan, some personal improvement hopes, or our upcoming mission trip to the Dominican Republic. Please check back tomorrow for a little more detail as I dive into my first mission. Here’s a quick link to my other 30 days of posts.